John’s Plumbing & Pumps, Inc has been specializing in local pump services for 60 years. Since 1957, we’ve been the go-to plumber to handle your septic pumping, no matter the size of the job. We are equipped to diagnose and repair any problems that may arise from an older septic system with corroded, cracked, or leaking pipes. 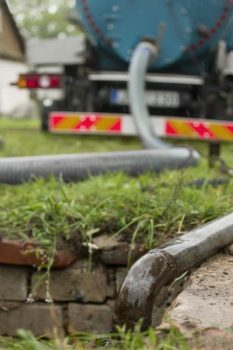 You get the best professional knowledge when you call us for septic tank cleaning and maintenance. Regular septic service is an important part of maintaining a healthy septic system. However, it must be done right. If a company is inexperienced or does not have equipment with the right capacity, they could cause damage to pipes, seals, float switches, or gauges. It can also become an unfortunate mess if the waste is not removed by experienced technicians with the right pumps and equipment for the job. How do I know if I need to empty my septic tank? The sewage backs up inside sinks, showers, tubs, or toilets. The grass in your drainfield is more lush and green than in other areas. We assist with every aspect of septic service, from septic installation and septic repair to pumping and cleaning. As a company fully certified by state agencies and industry regulators, you know that our services are above-board and all disposal is done responsibly. We also carry an A+ rating with the BBB and have a large number of positive reviews on online rating sites. We care about our customers and pride ourselves on excellent work in all our endeavors. That is why our customers rave about us—and they tell their friends! 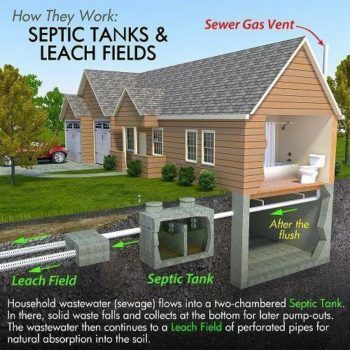 Call or contact us today for any help you need with your septic or sewer system.